Everyone who travels south along the Carretera Austral in the Aysén Region relishes the breathtaking scenery between Villa Cerro Castillo and Bahía Murta, but there are few capable of recognizing the traces left from the "not so gentle" giant that has attacked this area on various occasions and even now, could awake from its sleep at any moment. Activity: Driving tour that provides the opportunity to observe the traces of the Hudson Volcano. Duration: 3 hours, with stops. Special Considerations: Plan your route with sufficient time to avoid any unnecessary rushing. Travel with the mindset that you are going to stop several times to take pictures or admire the scenery. The average speed on this gravel road is between 45-70 km/h. Reservations: Self-guided tour, does not require reservations. Camping Los Ñires – Located in the El Manso Sector, 10 km south of Villa Cerro Castillo; (09) 92165009 - 92936679; rosachacano@hotmail.com. Residencial Patagonia – Located alongside the Carretera Austral just past the crossing for Bahía Murta; (09) 87259186; cotimama@gmail.com. Villa Cerro Castillo marks the end of pavement on the Carretera Austral. From this point south, you will be adventuring along gravel roads, where you’ll have to slow your speed, because the potholes and washboards make it a bit complicated to maneuver. It’s not all bad though; going a bit slower gives you a better opportunity to pay attention to the details hiding around every curve of this incredible, scenic journey. Relax and take your time! After passing the Chacano Bridge and the turnoff for the Paredón de las Manos indigenous hand paintings just outside of Villa Cerro Castillo, you will find a lookout point with a perfect view of Cerro Palo (2,320 m), a great tower of rock and ice that is part of the Castillo mountain range. Tear yourself away from the view for a moment and look at the ground where you are standing; it is very likely that you’ll see small granular materials that are similar to sand, but a little bigger, in a range of light gray, dingy green, brown and yellow colors. These are the ashes left behind from the modern-era eruptions of the Hudson Volcano in 1971 and 1991. The Hudson Volcano is H-U-G-E! It is even larger than Cerro Palo, with an altitude of approximately 2,500 meters and a 10 km diameter. 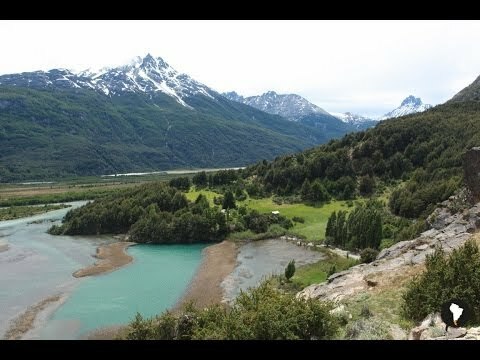 It is located 82 km southeast of Coyhaique in the vicinity of the northern ice fields and the fjords and channels; the same vicinity as the Liquiñe - Ofqui geological fault line. The volcano consists of a row of cones, dikes, eruptive centers, and a giant circular crater that boils when active. Ironically, around the peak of the volcano, there is a permanent glacier. 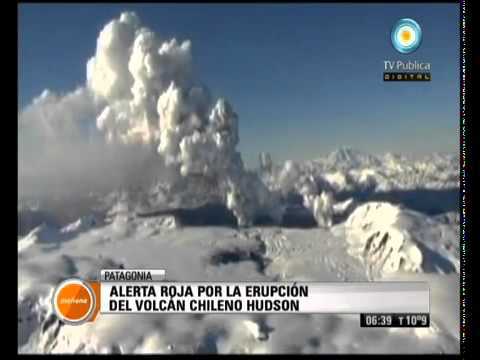 The Hudson Volcano has been active for at least 1.5 million years, producing some of the largest eruptions in the Andes during the Holocene period, including confirmed eruptions 3,600 and 6,700 years ago. But given its remote location, it was only recognized as a volcano in 1971, when it awoke, sending up a 12 km high column of smoke and ashes that produced an explosive flood of the areas rivers, due to the lahar (debris and mud-flows), sediment, and water which descended from the volcano. Ash was the most damaging factor of the eruption, covering the entire valley, grasslands and forests, and impacting the ecosystems, agriculture and, in particular, livestock. The area’s settlers lost all of their sheep and for many, this meant absolutely everything to their family. Some had to leave the area, others sold their land and the majority had to start from scratch. Twenty years later, in August of 1991, the Hudson Volcano roared once again, but this time with such violence that it ranks as one of the twentieth century’s largest volcanic eruptions. It was extremely explosive, with violent lahars and columns of smoke and ashes shooting up to an astounding 18 km in altitude. The Patagonian winds blew this tremendous column all the way to Comodoro Rivadavia and San Julian, Argentina, along the coast of the Atlantic Ocean. The affected area totaled about 80,000 km2, depositing between two centimeters and a meter of ash across agricultural and ranching lands, forests, and steppe. Can you imagine a meter of ashes? That’s almost up to many peoples’ waists! The areas around General Carrera Lake, including the section along the Carretera Austral between Villa Cerro Castillo and Bahía Murta, were the most heavily impacted; you can still see the evidence of this devastating eruption as your travel along the route. Shortly after you pass the crossing for the Claro - Las Ardillas Sector, you will come to a camping area called Camping Los Ñires (Km 12), a wonderful place to rest within native forests and share the hospitality of Señora Rosa Chacano and her husband, Don Eleuterio Calfullanca. Both remember the eruptions of the Hudson Volcano vividly; don’t hesitate to ask them about these historic events because they love sharing their stories. They are excellent sources of local knowledge and an insight into the culture of this area. Around kilometer 34, you’ll pass through a sector along the road where there are signs of the last Hudson eruption all around you. If you pay attention, you’ll notice fence posts poking up out of the ground about ten centimeters or so. That’s because the other meter of their height is completely buried under a meter of volcanic ash. And you won’t even need to try to see the “Bosque Muerto” (Dead Forest) because it fills the horizon for a stretch of four kilometers! The eruption actually changed the course of the Ibañéz River and wiped out dozens of hectares of native forest, leaving the trees completely under water and ash. You’ll also probably note that the road through this sector is a little bit softer; that’s because it is surfaced with the ashes left behind by the volcano, forming a much smoother and finer surface layer; a welcome break from the normal washboards of the rough gravel. The next few kilometers offer views of abandoned farms and large pine plantations, introduced after the eruptions for their adaptability and disposition to grow, given the new composition of soil. In this section, you’ll want to take a look at the mountains in the distance to your right where you can see black stains on their snow-covered peaks. These are the marks left from the more recent eruption of the volcano, which occurred in October 2011. This time the damage was minimal thanks to the fact that the eruption was short and relatively low-impact. Nevertheless, the explosion resulted in the generation of small eruptive columns and the appearance of at least three new craters in the glacier that is nestled near the boiling crater. If you want to hear more stories about the giant and powerful Hudson Volcano, we suggest you complete your journey with a delicious lunch at Hospedaje Patagonia (Km 96.5), located a few meters south of the intersection for Bahía Murta. The owner, Señora Clotilde, is a great local historian and storyteller. She will bring history to life and recreate the epic geological adventures of the landscapes that surround you. If you are a bird watcher or an avid photographer, head 19.5 km south of Villa Cerro Castillo to the outflow of the Verde Lagoon. Here you have a beautiful panorama of the Ibañéz River Valley and the headwaters of the Manso River, the shortest river in Chile. The lagoon is home to a wide variety of birds, including various species of ducks. Take a minute to pull off to the side of the road and take some photos!